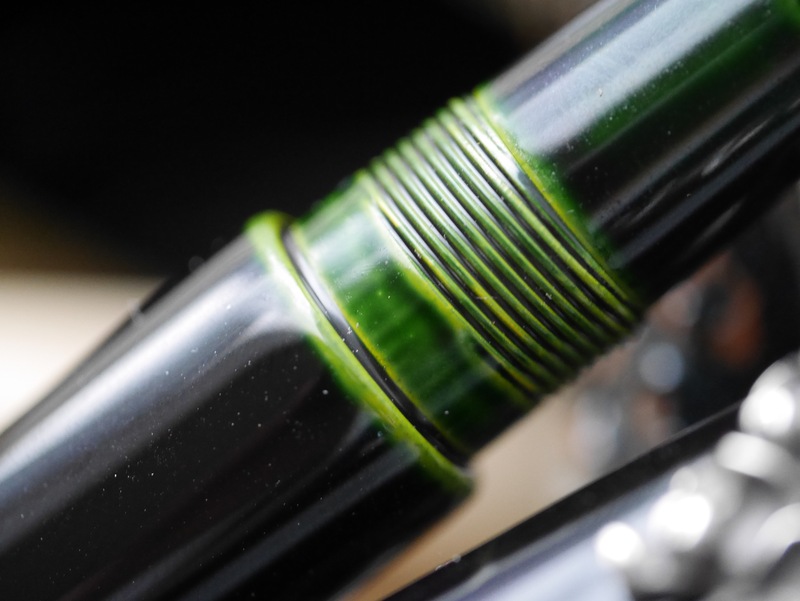 Nakaya: masters of art, craft, and story. – Leigh Reyes. My Life As a Verb. Think about the most beautiful object you own. 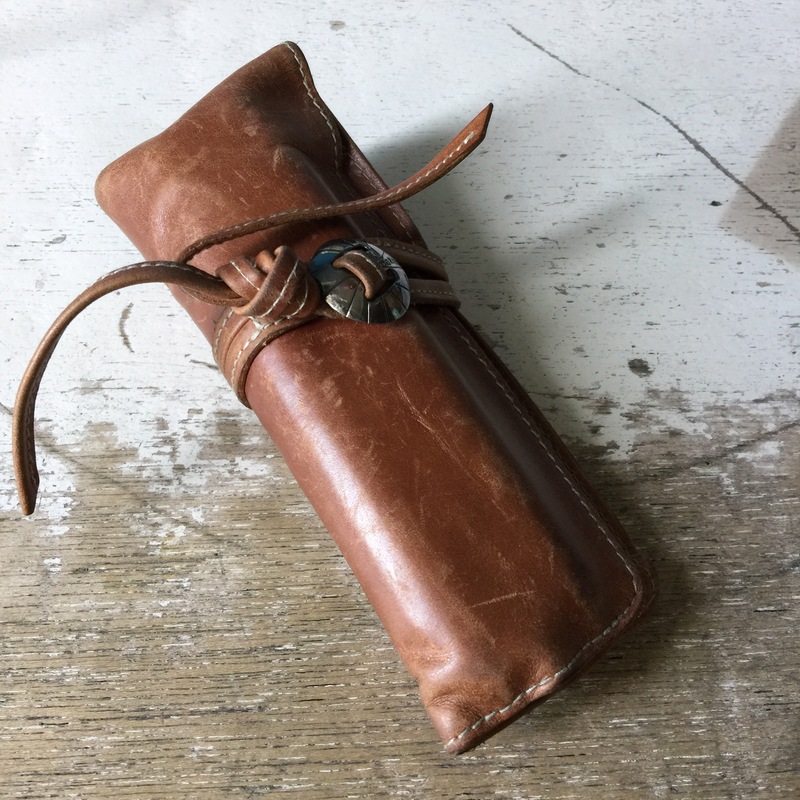 It could be a leather bag scuffed with memories of adventures; an Egon Schiele print hanging in the hallway; your first child’s first tooth; an Art Deco masterpiece cast in bronze; a rare bonsai. It could also be a book; a watch demonstrating the laws of physics; an ancestral home, a vacuum tube amplifier, beach glass shaped by years of ocean currents into a heart. Beyond the vocabulary of aesthetics and personal preference, many of us find beauty and uniqueness in objects that hold stories. In a painting, each stroke is a word in the story that only the artist can bring into the world. In mass manufacture, marketing does the job of storytelling, allowing us to imagine distinctiveness where, functionally, there might be none. 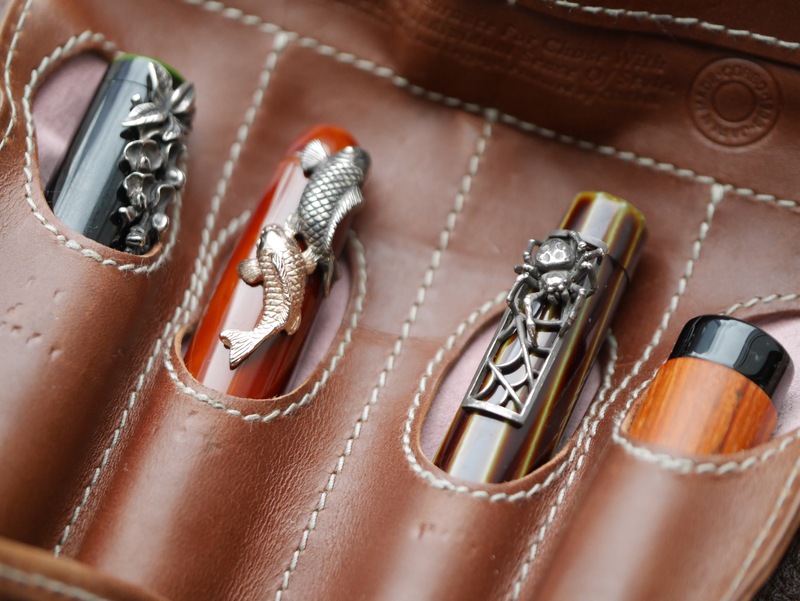 The aesthetic attracts us, but it is the story that convinces us of beauty. My utterly unscientific Twitter survey makes me think others feel this, too. 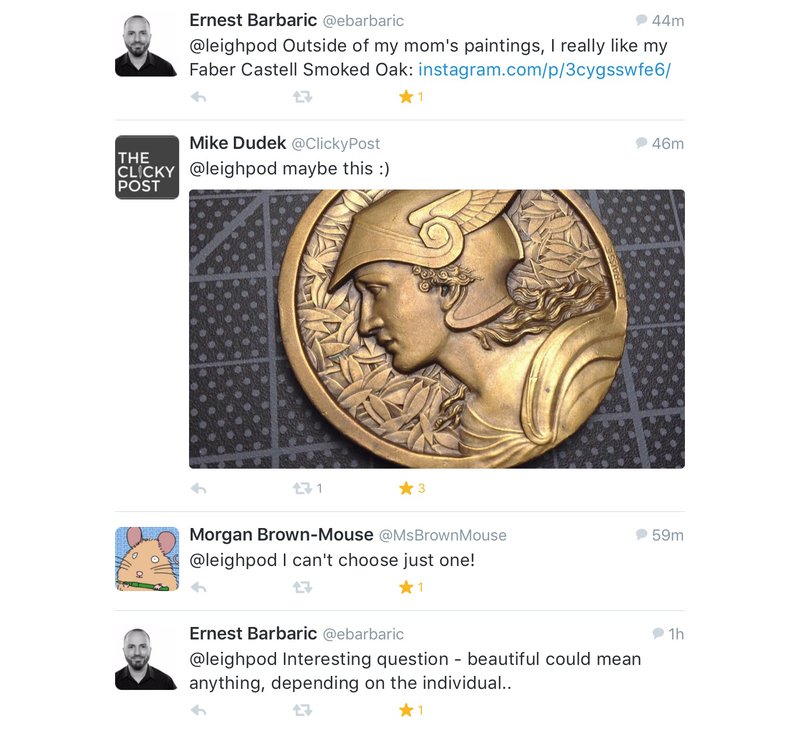 Thank you to @ebarbaric and @clickypost for playing. 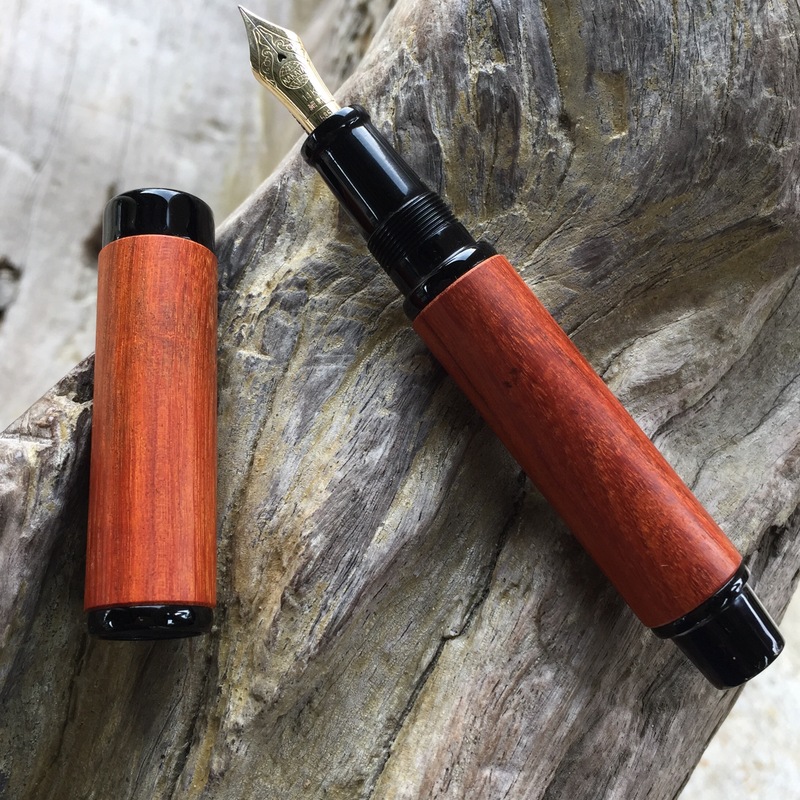 I first saw Nakaya pens on FPN – a Piccolo, in fact. 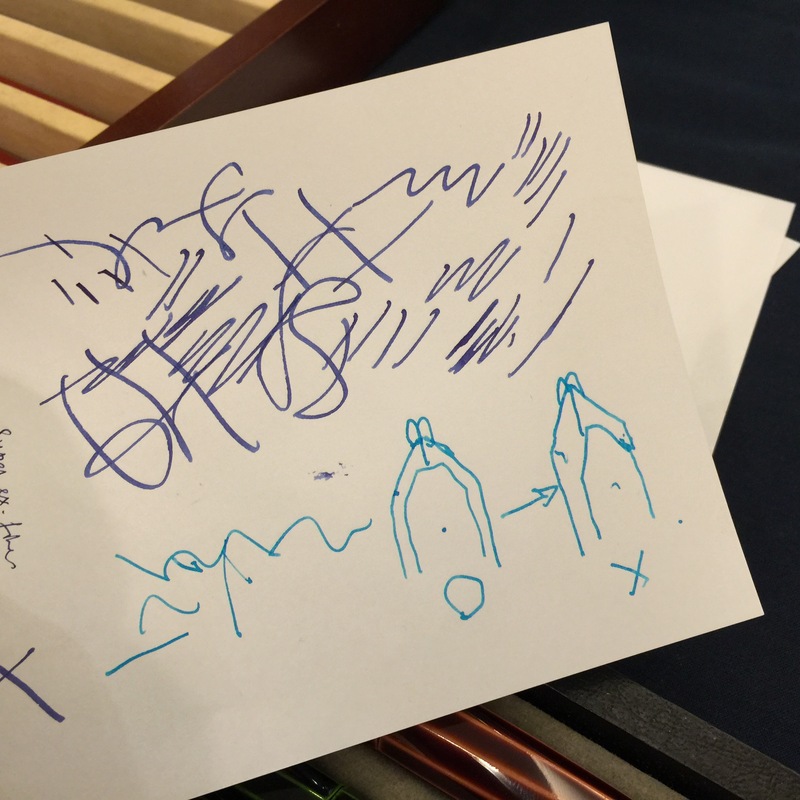 It was a Piccolo in aka tamenuri and it was like nothing I had ever seen in a pen. I was curious. 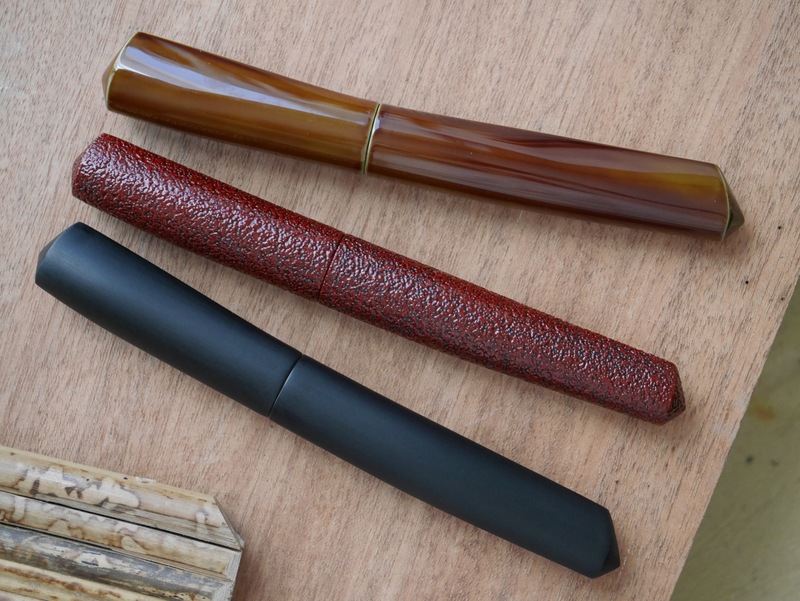 The peaked ends and simple shape drew me, as well as the urushi finish – certainly unusual to me at the time. 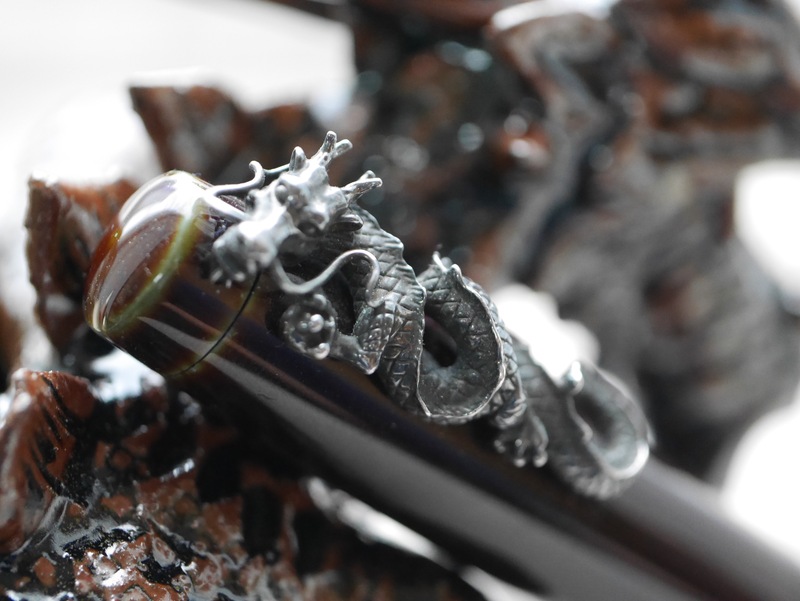 Nakaya also has pens with more ornate surface designs, executed in traditional techniques, but I prefer the simpler ones, even now. 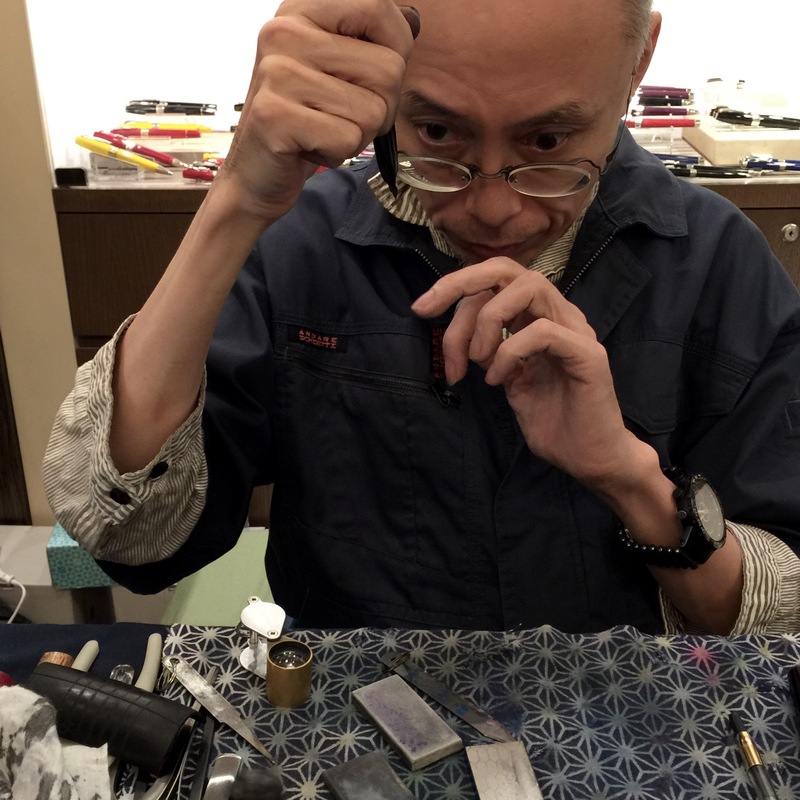 Seeing Yoshida-san at the Nakaya Pen Clinic in Aesthetic Bay last August was, as always, a lesson in craft. Their motto, “for your hand only,” truly comes to life at these clinics. Attendees respectfully hand over their pens and sit in front of him. A few only need tiny tweaks. Others ask for miracles. A request or two gets the slightly raised eyebrow. But all receive his attention and care. My first Nakaya Pen Clinic was six years ago. So much has changed! There are more trays, more testers, and the clinic has moved to the main area of Aesthetic Bay. His workcloth, though, looks like the same one. 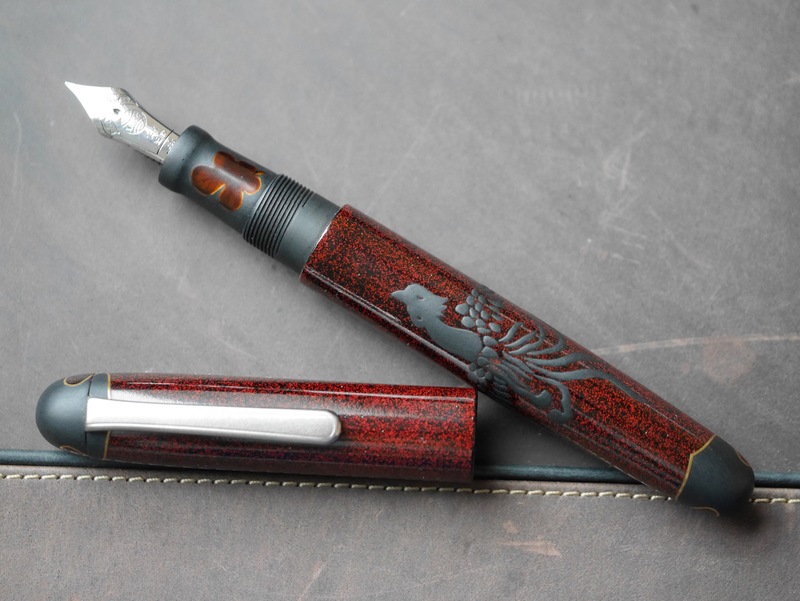 Nakaya has brief biographies of their masters of craft on their site, and it’s worth a read. 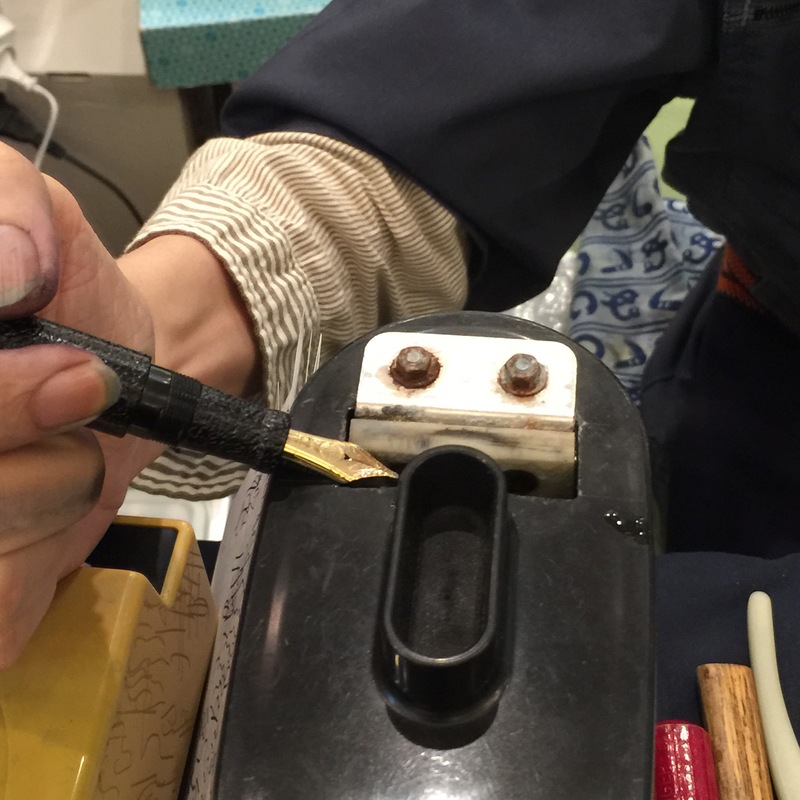 Matsubara-san has been turning pens on lathes for 66 years. Expertise at that level is already instinct. 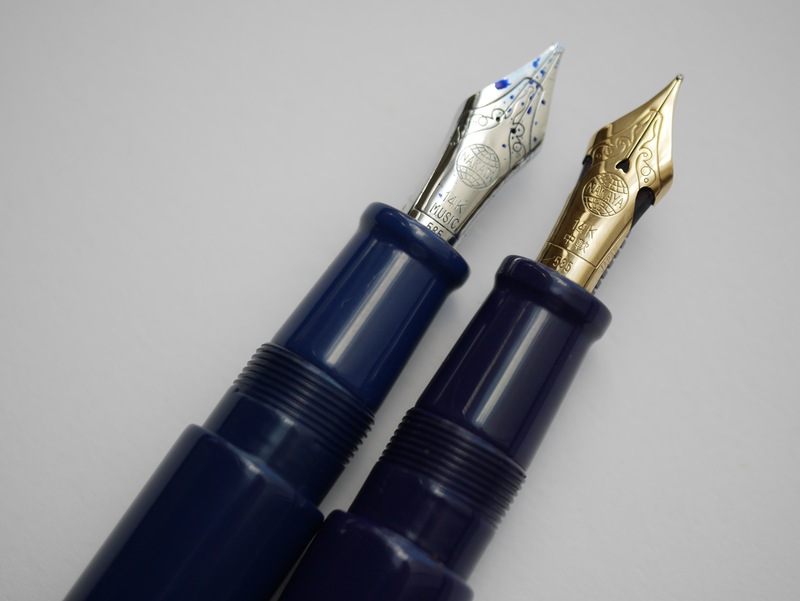 Watanabe-san has focused on pen repair, and Maruyama-san on metal press technology. Yoshida-san is the youngest of the four, born in Hiroshima in 1964. 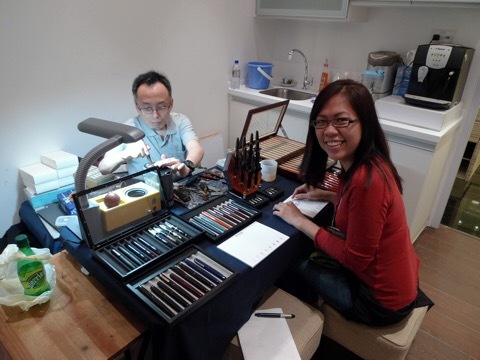 He is Nakaya’s pen designer and nib engineer, not to mention pen clinic nibmeister. We have him to thank for Piccolos and Long Piccolos, Decapods, the amazing (and discontinued) Dorsal Fins, and the new Pernambuco. 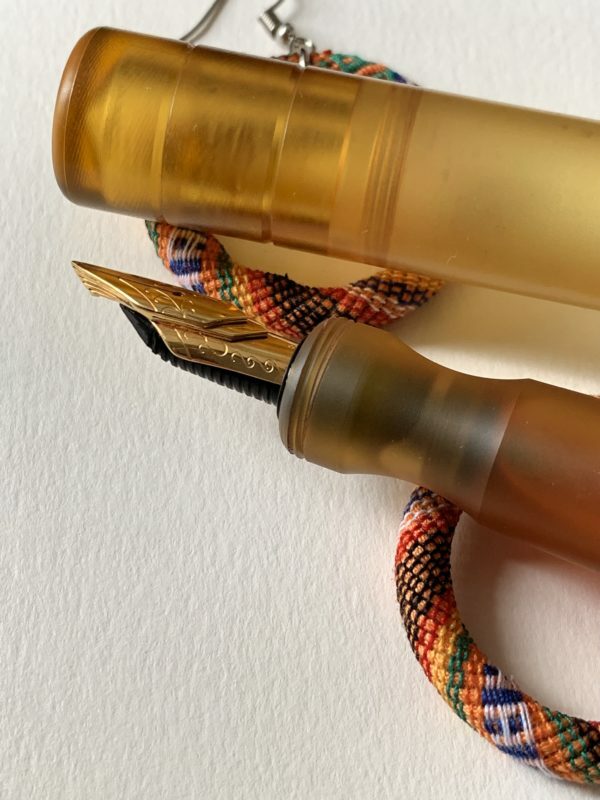 It is his attention to detail that has resulted in Nakaya having three kinds of feeds (based on nib size) when other manufacturers only have one. He also has exquisite taste in objects that aren’t pens. 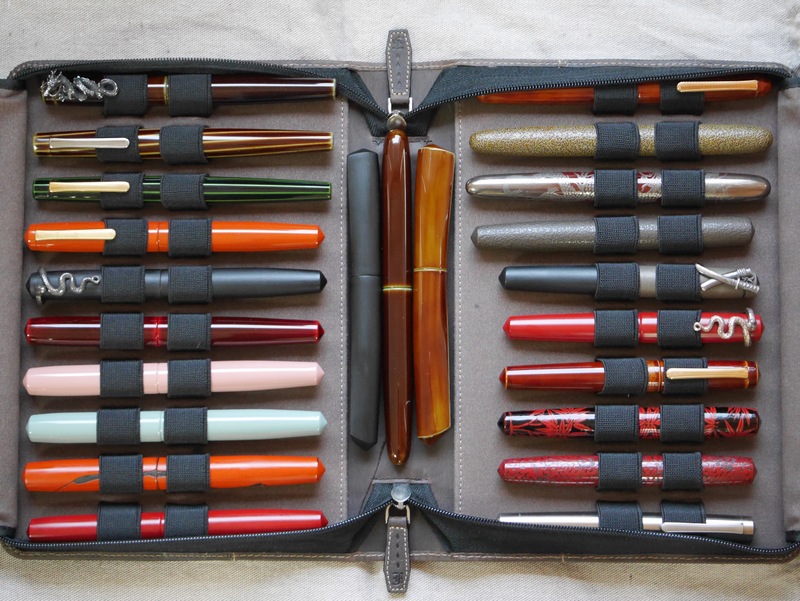 Three years ago, I was curious about Yoshida-san’s pen case. It turned out to be one by Corbo, and I snagged one from Rakuten. I pulled it out during my visit to Mora Stylos last year and happily showed it off to Mr Mora and Christine. 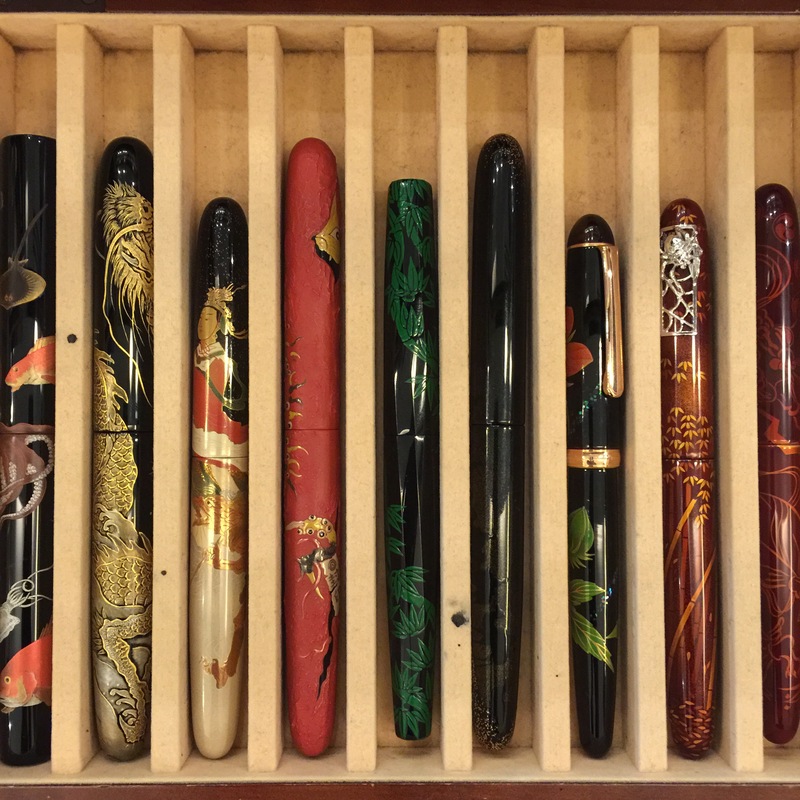 Fast forward to this year’s pen clinic, where Yoshida-san told me, with a smile, that Mora Stylos ended up ordering a few of the same case from Corbo. (The black one is still available!) Now the case seems more beautiful to me, because of that story. 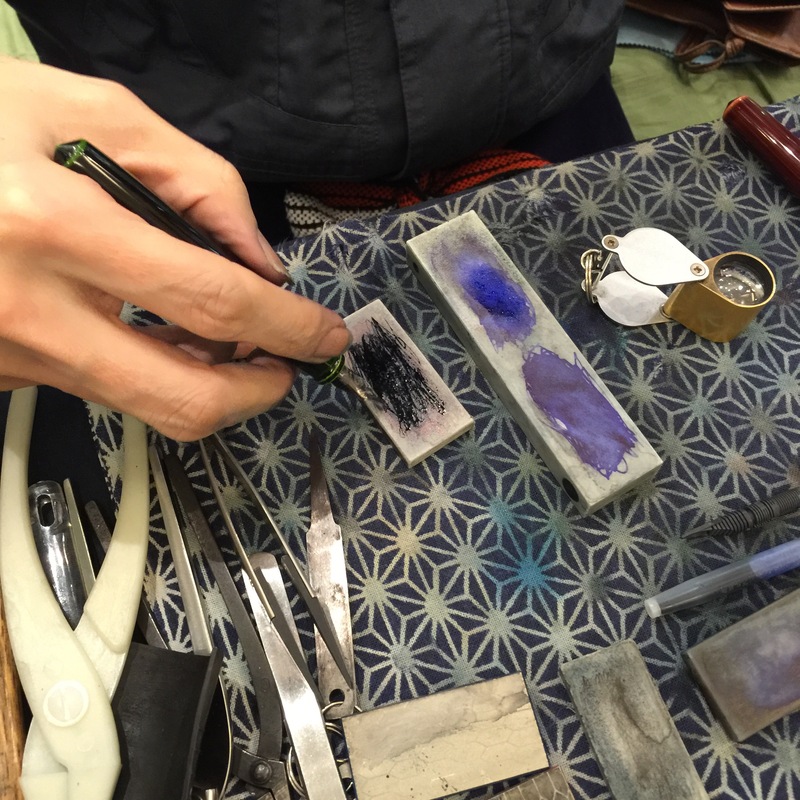 Lacquer expertise does not lie within Nakaya, but in the town of Wajima, where many make a living out of the painstaking craft of urushi and maki-e. Masters in their own right, individual artists have specialties. 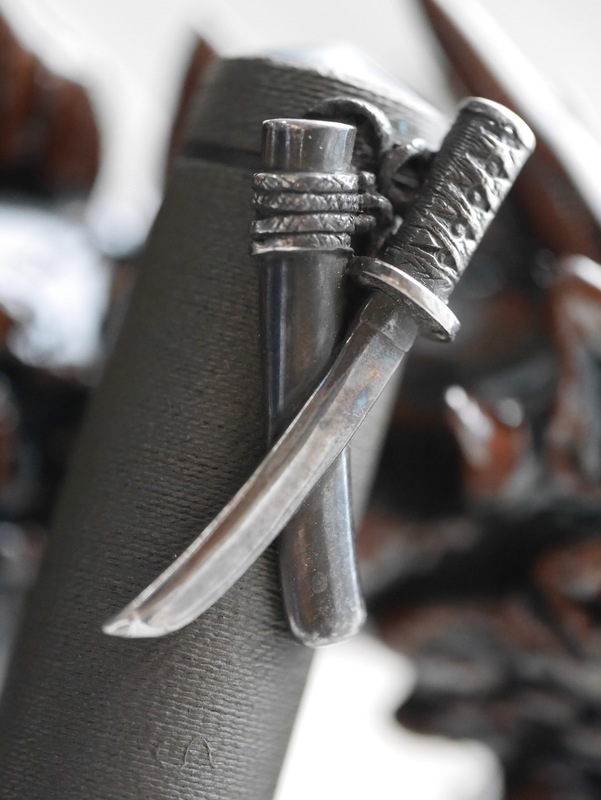 For example, one can be an expert in heki-tamenuri, or focus on the chinkin technique. 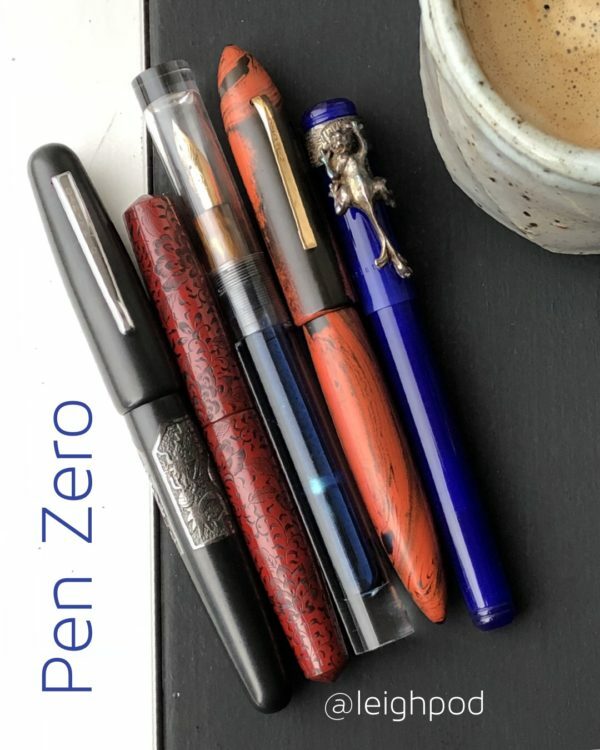 There are pen designs that use a variety of techniques, and understanding the level of difficulty makes us appreciate the superb result even more. Mastery is in short supply nowadays, a consequence of our multi-tasking, bucket-listing world. A Microsoft study released this May claims the human attention span is now eight seconds, one second short of a goldfish. Disposable culture may feed the needs of the moment, but still leave the spirit hungry for something more. 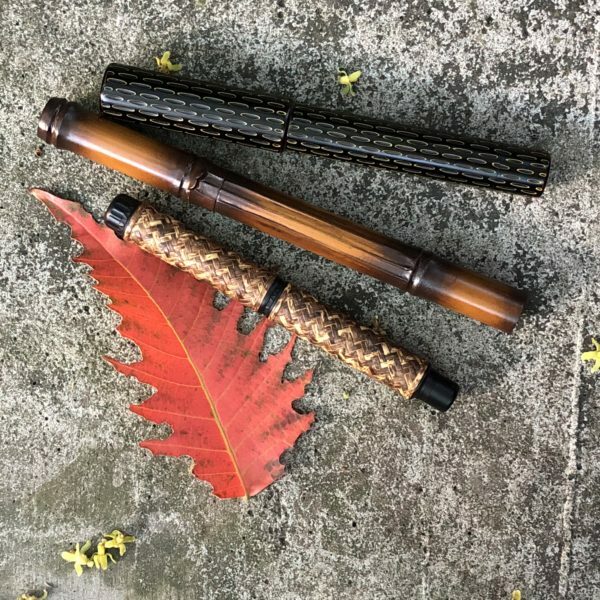 When you hold a Nakaya, you hold at least 200 years of collective expertise and stories, steeped in centuries of Japanese tradition – in the shape of a pen. Using it is both an honor and a simple, everyday act. And that’s the way it should be.